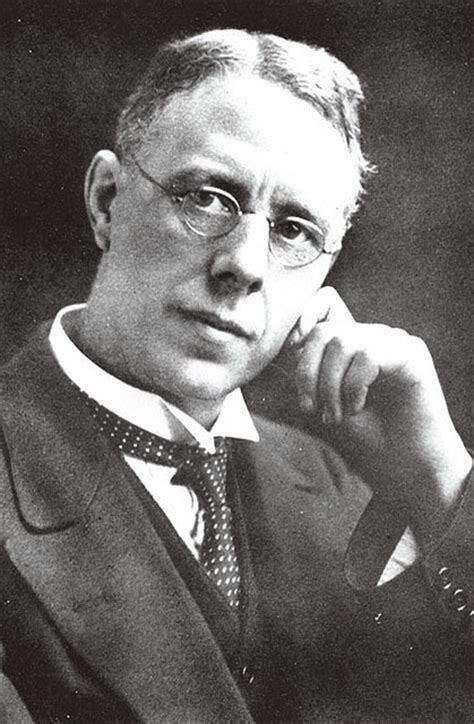 Brearley first produced his 'Rustless Steel' in an electric furnace on 13 August 1913. Harry was born into a poor family. His father was a steel worker at Thomas Firth & Sons. He started working at the age of twelve and a couple of years later was working Firth's as a bottle washer in the chemical laboratory. He studied metallurgy and learnt very quickly. He was aware that the world of metal manufacturing was fighting a never ending battle against rust. In 1908 Brearley was appointed lead researcher at Firth Laboratories. One of the major downsides was erosion in weaponry. Brearley was asked to find a way to prolong the life of gun barrels. Harry experimented with several variations of his alloys, adding a small percentage of chromium and small measures of carbon. On the 13th August 1913 Brearley created a steel with 12.8% chromium and 0.24% carbon. Every piece of steel he made he bombarded with various acids and stresses. Many failed the tests but the steel made on that day remained rust free. Harry saw the potential for his steel within the cutlery industry. 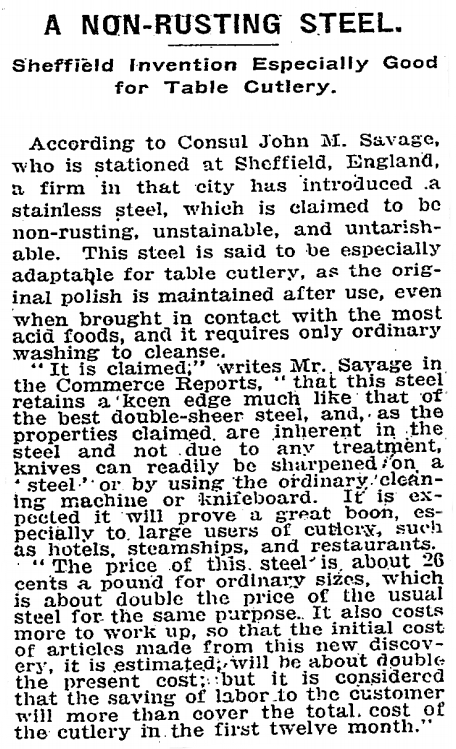 With the help of his friend Ernest Stuart, Cutlery Manager at Mosley's Portland Works, they had perfected the hardening process for knives. Brearley wanted to call his invention ‘Rustless Steel’, but Stuart, persauded him it should be called ‘Stainless Steel’ .